When it comes to the 2013 American Music Awards, there's nothing "thrift-y" about this year's love for Macklemore and Ryan Lewis. The rapper/DJ duo scooped up nods in six categories when the AMAs announced its nominees list Thursday morning. Macklemore and Lewis scored key places a place in both the Artist and New Artist of the Year noms, while their No.1 hit "Thrift Shop" scored in the Single of the Year arena. They also showed up in contention for the Favorite Rock/Pop Group and Favorite Rap/Hip-Hop Artist titles, while their album The Heist was nominated in the Favorite Rap/Hip-Hop Album category. Nothing bummy and grungy about that! Directly following the dominating duo in nominations are Taylor Swift and Justin Timberlake, both with a total of five. True to her crossover success, the blond superstar showed up well in both pop and country this year, while Timberlake did the same in the pop and R&B categories. 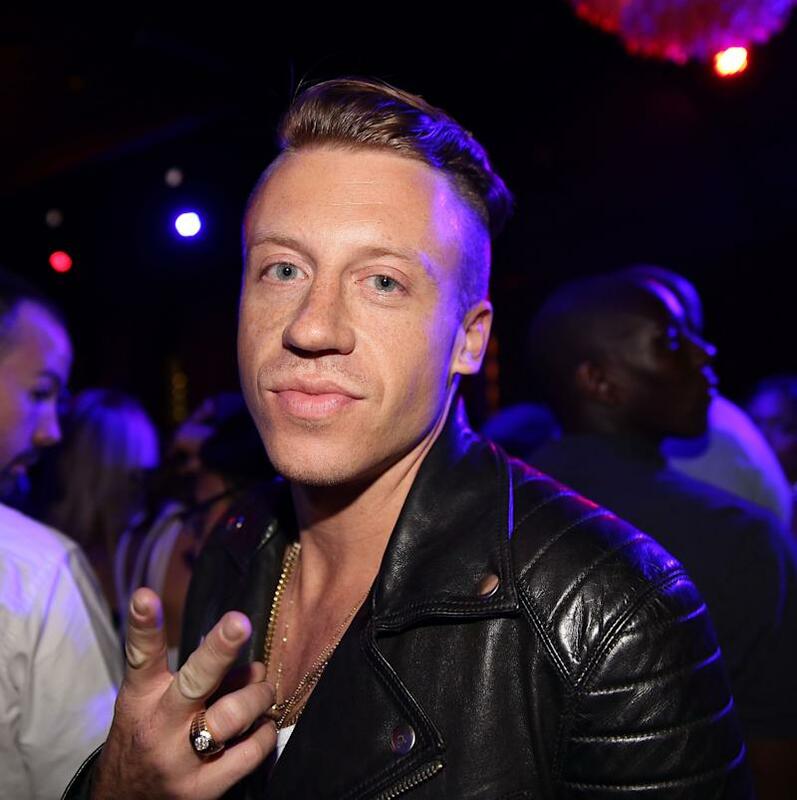 Macklemore and Lewis are the only AMA newcomers to the Artist of the Year category. They'll be going head-to-head against Bruno Mars, Rihanna, Timberlake, and Swift — the latter who is vying to win her third Artist of the Year trophy. Another new artist that is poised to make waves at this year's AMAs is country duo Florida Georgia Line, who picked up a New Artist nod as well as a shot at Single of the Year for their summer anthem "Cruise." The New Artist category was rounded out in a nicely eclectic manner by Ariana Grande, Imagine Dragons, and "American Idol" alum Phillip Phillips. No surprise here: "Thrift Shop" and "Cruise" will be pitted against yet another smash hit — we're sure you can guess it. Yep, Robin Thicke's "Blurred Lines" featuring Pharrell and T.I. Florida Georgia Line, Rihanna, and Thicke collected four nominations each. Additionally, Bruno Mars and Imagine Dragons were nominated for three awards. The nominees for this year's AMAs were revealed live Thursday by pop superstars Kelly Clarkson and will.i.am. The AMAs ceremony will be broadcast live from L.A. Live's Nokia Theater Sunday, November 24 on ABC.